Excellent. Worth a listen - especially today. 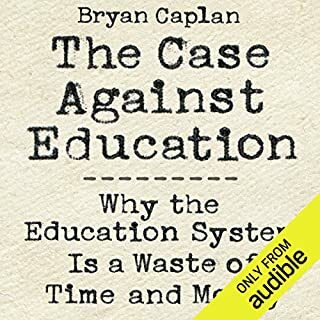 I found this to be a compelling case against the current system of government education in the United States.The author certainly presented his argument well and supported his points. He did tire me a bit about signalling - but it's a major problem and central to much of the argument being made. Educators and those interested in discussions of the problems in the system will likely find food for thought here. This book was quite good. 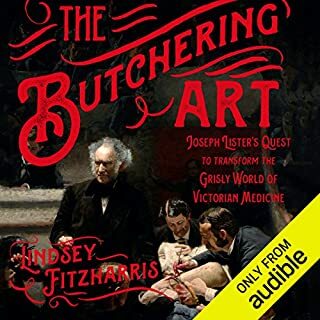 It gives a (horrifying) picture of surgery in the 19th century and the important advances made by men such as Lister. Love the book, narration good not great. Great history and an important tale. The story never lags and you can really get into the personalities of the men. I really enjoyed this book. 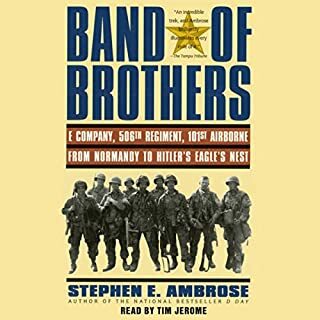 I hate to dock the narrator as I think it's quite competent work, but I had a hard time with the different pronunciations of the names based upon numerous other books and documentary videos I'd heard or seen. The inflection and sound general voice work was good - just not great. I'm going with 3 stars - which is, in my judgement, "good". I did enjoy this book, though I feel a wee-bit generous in rating it 4 stars (3.8?). The book doesn't tread any new ground or really shock/surprise you, but it is solid and well paced. I recommend it without reservations to those looking for a straightforward and action-filled book. The setting is a false-meritocracy set in the near future (hundreds of years in the future). Humans are classified by their 'color' which dictates their function (job) and rank in society. Disabused labor-class (slave really) is wronged horribly by the elite leaders of man. He sets out to both change the structure of the civilization and to exact revenge. The book has elements of Ender's Game, The Hunger Games, Blade Runner, Lord of the Flies weaved into it. It manages to move quite quickly and it has a number of exciting conflicts, character building and personal pain - but not a whole lot of ambiguity in the characters - they fairly characterized. I enjoyed the book and found the reading pleasing. First let me say that a three start book for me is pretty solid and four and five stars for me are reserved for my favorites or those books I will likely return to (possibly repeatedly). 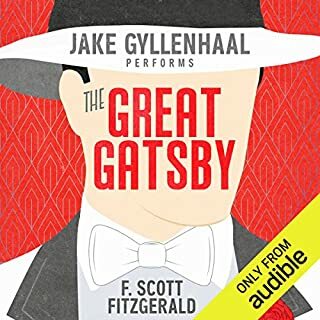 Secondly, the narration is perfectly good - but doesn't fall into the five star area for me either - with a half-point scale I would have gone 3.5. Finally - my overall reflects the slight failure of the book to live up to the story/premise in it's actual implementation (the writing) - I wish I could give it a 3.5 as I think 3 comes across as slightly harsh - but I ended up liking but not *really* liking it. I should have *loved* this book. The premise is right up my alley - Super-humans have run amok and basically rule the Earth and have territorial battles etc. Mere mortals are left as, basically, serfs in these different 'Epic's' territories. People, as we know, don't tend to love to be treated in such a fashion - so there are some who rise up. Neat setup - love it. The problem I have is the quality of the dialogue and, to a lesser extent, the prose itself. Anyway - I burned through the book on 3x speed and enjoyed it. It is what we call a 'vacation book' here in my house - it's not meaty, just for fun and entertainment and I think it accomplishes that pretty well. This one drags a bit - still good. Honestly, I had to push through this one a bit. There were parts which were engaging and characters I was glad to hear tales of, but the best bits were a bit sparse and, especially when compared to book three, it didn't move things a long as much as I'd like - and it's a pretty lengthy read/listen. 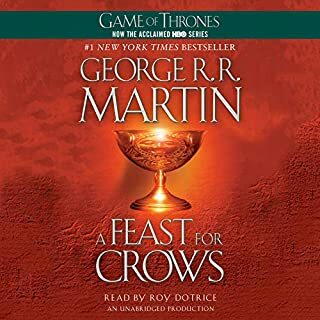 Still, there is a lot to like if you're a fan of Westeros - and in most good series there are installments which don't live up to their surrounding books. All in all I'm certainly happy with it - just not *as* happy as I was with books one, two and especially three. I've seen some complaints about the author's perspective or personal feelings about various leaders in the battle and campaign, but find them basically uninteresting. This was a superb and detailed account of the battle and it's consequences and aftermath. It's astonishing how many mistakes, miscues and missed opportunities there were in this battle - inlcuding the somewhat accidental initiation of general battle at a site not to Lee's liking. Keeping it brief - I give it 4 stars as a book I would listen to again, but may not find the time for. It did keep me listening and I did not want to turn the book off - but it didn't drive me mad with the desire to continue the way some books do. I don't fault the book for this - it's tougher to pull off that kind of engagement with historical non-fiction (even though I love the genre). 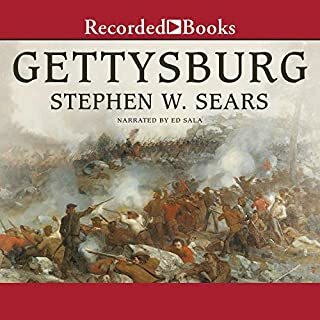 Highly recommended - especially for those with interest in the battle and it's main leaders or those with a general notion of the battle looking for details. Thanks - hope this review helps! I found this to be a thought-provoking and interesting overview of many of the major philosophers and their respective reasonings and arguments. This isn't a scant overview where you get a handful of minutes on profound thinkers, you get a little bit more than - usually at least one full lecture and often more when the philosopher or philosophy is refered back to in later lectures. The Professor clearly has mastery over his course and it's a pleasure to have had he opportunity to sit in on his classes while in my car, or on my lawn mower.... or layed out on the couch/floor. 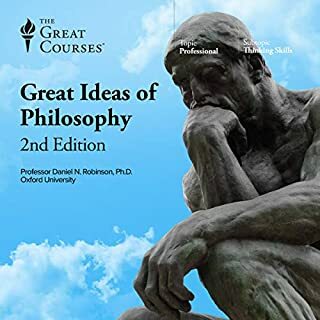 I definitely recommend this as a great starting point and believe it will push you to consider or read/listen to more writings/lectures on the subject or, at least, on a particular philosophy or philosopher. 4/5 stars represents something I'd possibly listen to again - and I very well may - probbaly selectively based upon interest in a particular lecture or two. Trying to get away from LOVING everything I hear - but I'm frequently failing. This one slips to just shy of 5 because it didn't have me so 'eager' to continue listening at every breath of my day. I am a big fan of the book. I've listened to it in audible form at least sixe times and revisit it pretty regularly. This particular recording is my second favorite fof the three I have listened to. 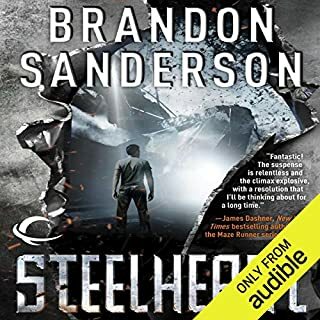 I think the narration here is stellar - it falls short of Frank Muller for me, but I think the style may please some listeners more than Muller's reading. Jake reads it almost as the embodiment of Nick, which he pulls off very well. The reading is a disaffected and has a pretentiousness to it that suits the character perectly. I can't mark this book down for it's performance at all - it's great, just not my personal favorite. 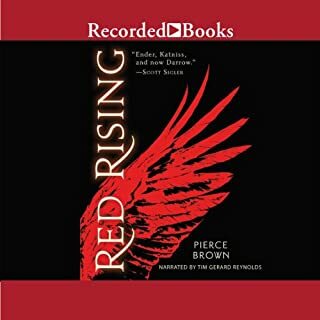 I have sampled many other narrations and found them lacking - but I would have to check them again to provide details. There are recordings I plan to check out as well - but none have warranted the buy yet since I have such good listens available already. Anyway - hope this helps! We love Ramona... all five of us! I read Ramona as a kid and so did my wife. I'm pleased to say the stories hold up ... more than hold up, they are great. We listened to all 19 hours on a couple of road trips we took over the past year and there was never a time when any of my kids (boy 5, boy 7 and girl 10) complained about listening to tales about Ramona. I was relatively familiar with the older books, having read them forever ago, but the newer ones were (un-shockingly) excellent. Stockard Channing's narration is perfect and the tales have ups and downs for the Quimby family, but they learn and love and live and we laugh and cry and smile. 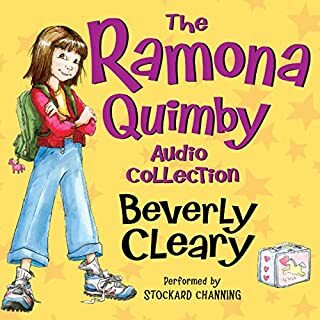 Thanks Beverly Cleary for giving us Ramona and Beezus and Henry and Risby and Picky-Picky and "Yard Ape" and all the rest! *Highly Recommended* for families and kids of all ages (even pushing 40).